Lisa Cintron, MCRP, is a Research Project Coordinator with the Alan M. Voorhees Transportation Center (VTC) at the Edward J. Bloustein School of Planning and Public Policy. Lisa utilizes her research, analytic and creative skills to support the Bicycle and Pedestrian Resource Center. 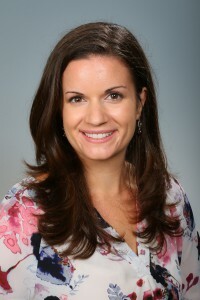 Her qualitative and quantitative research expertise have been utilized on projects exploring the connections between crime and walking habits, the barriers to walking for senior citizens, and various program evaluations. Additionally, Lisa provides extensive graphic design skills, transforming complex research findings into visually compelling reports, inforgraphics, and maps. Her strong organizational skills have allowed her to oversee various tasks, delegating responsibilities, and ensuring high quality end products. She has previously worked on research and analytical projects with PlanSmart NJ, UNICEF, the Women’s Refugee Commission, the UNDP and the Institute for International Education. She has also promoted resiliency and community development with the Federal Emergency Management Agency, following Superstorm Sandy. One commonality Lisa has carried throughout her diverse resume is a strong affinity for creative problem solving, strategic thinking, and compelling communications. She enjoys untangling complex data and translating ideas into compelling simple designs and writings. Lisa holds a Bachelor’s in History and Middle Eastern Studies as well as a Master’s in City and Regional Planning from Rutgers University. She is passionate about the role of planning in enhancing quality of life and equity, whether that relates to safe bike lanes to minimize driving or expanding access to nature through parks and open space. Lisa is an advocate for active transportation as a means for promoting economic, environmental and social wellbeing. She also volunteers as a Girl Scout leader promoting confidence, leadership, a connection with the community, and love for the outdoors in her troop.